Today, I take a look at the 13 active companies that have post money valuations exceeding $1B in New York City as a result of their last round using some data from our friends at Crunchbase. In addition to dollar amount of the valuation, I have included total equity funding, year founded, and number of funding rounds to further the analysis. To keep the focus on traditional tech-enabled startups, real estate companies were excluded from this analysis. This list was compiled from that data retrieved on 1/20/16 and does not include companies that underwent liquidity events (acquisitions or IPOs). Here’s a deeper dive through an analysis of these 13 NYC unicorns and their respective positioning in the overall unicorn universe. 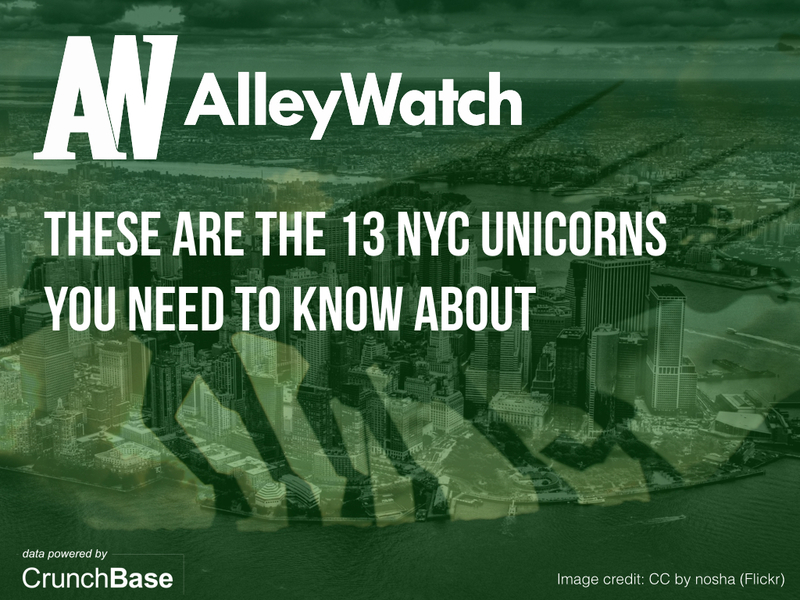 CAN YOU GUESS ALL 13 NYC UNICORNS?